Transforming light. Like the subtle cast their name suggests, Silhouette® window shadings, with the Signature S-Vane™, create beautiful and ambient light and shadow. Soft fabric vanes are suspended between two sheers, diffusing softened light deep into a room. Tilt the vanes to achieve the privacy you desire while maintaining UV protection. Privacy with softened light. Enjoy subdued light and the privacy of soft draperies in Luminette® Privacy Sheers. Fabric vanes rotate for privacy while controlling the light in a room. Perfect for large windows and sliding glass doors, their superior UV protection meets both your decorating and practical needs. Striking design, dramatically filtered light. With Pirouette® window shadings, the look and feel of a traditional fabric shade is enhanced: the gentle pull of a cord lets you change a room's lighting in a whole new way. Soft, horizontal fabric vanes close to filter natural light, or open to give you a perfect outside view. Our revolutionary Invisi-Lift™ system allows the vanes to float gracefully, and even opened they offer UV protection and reduced glare through the sheer backing. Exclusive fabrics, energy-saving innovations. Our state-of-the-art, patented design for these attractive shades incorporates three insulating air pockets reducing heat loss at the window by 40%. Duette® Architella® honeycomb shades offer luminous colors and crisp, consistent pleats. Lower them for privacy, or raise completely for maximum light and view-they're beautiful either way. Also consider our Architella Trielle™ Elan® shades. Their five insulating air pockets make it our most energy-efficient design yet. Sophisticated, gently sculpted design. The fluid, uniquely sculpted look of these attractive shades is available in a variety of stylish fabrics. Our only soft shades with cellular construction, they offer both light-filtering and room-darkening opacities in all fabrics. Simple, uncluttered, innovative. 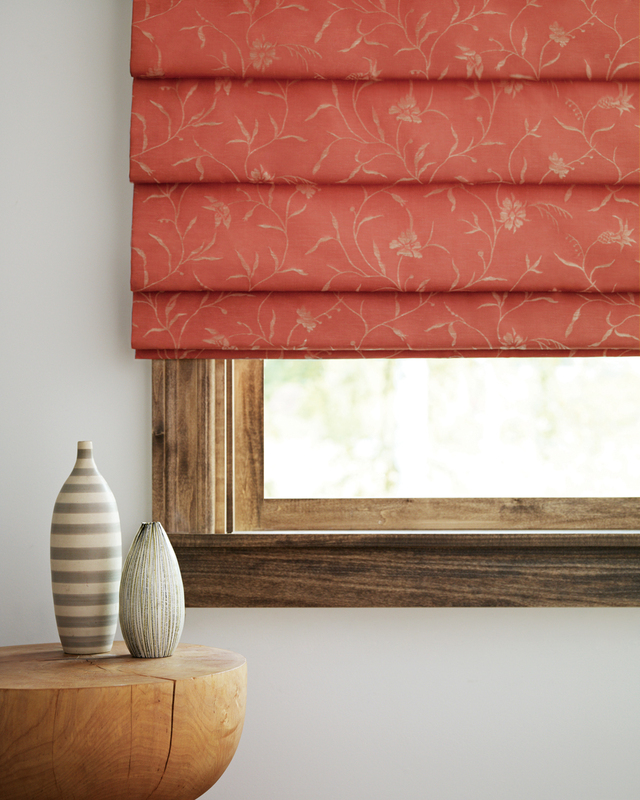 Luxurious fabrics and soft folds give Vignette® Modern Roman Shades a clean, crisp look, with the added benefit of enhanced child safety. Offered in semi-sheer, light-filtering and room-darkening fabrics, the range of styles and fold sizes help you create warm, inviting, beautiful windows. Customized through pattern and texture. Expertly crafted to order, these soft Roman shades offer elegant window coverings in more than 300 exquisite fabrics-from sophisticated designs, textures and stripes to solids, in blends of cottons, linens, silks and synthetics. Natural warmth and beauty. Crafted from natural woods, reeds, bamboo and grasses, our Provenance® woven wood shades are attractive lowered, or when raised to form even, overlapping folds. 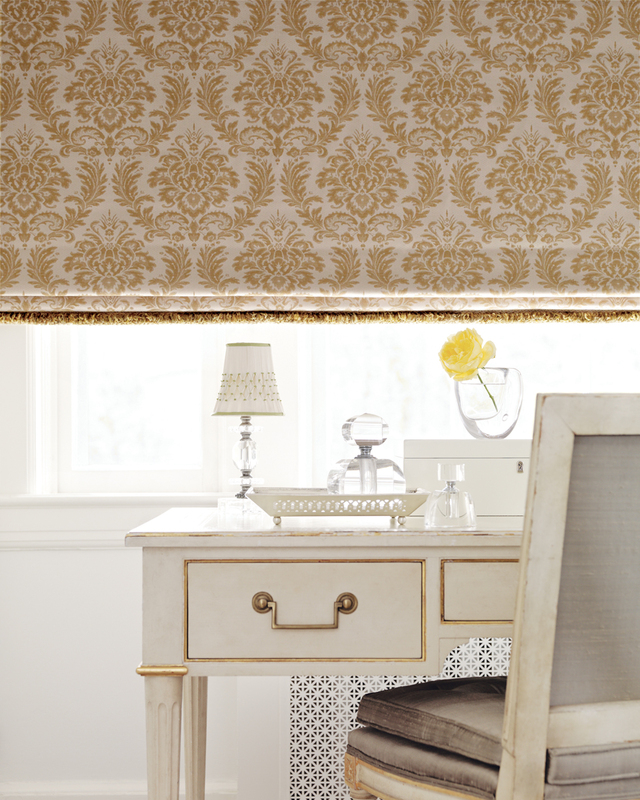 Decorative edge banding and style options for valances let you create tasteful, custom widow fashions with ease.